Fig. 1. 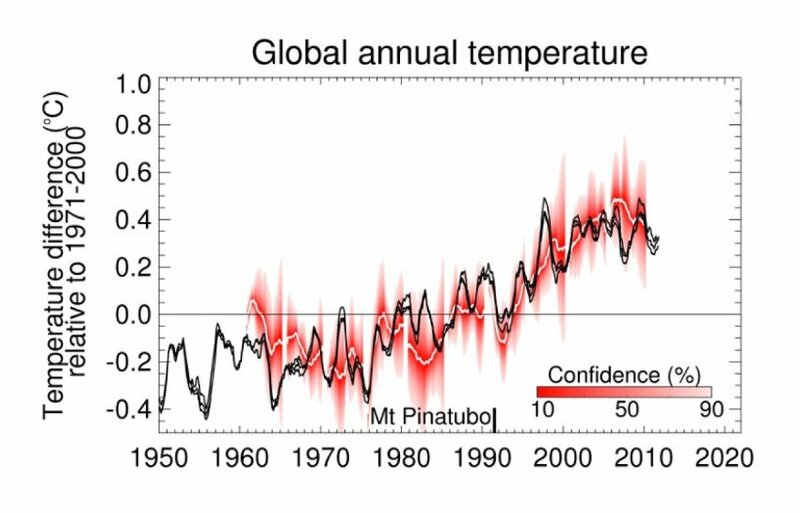 Evolución de la temperatura media global (línea negra). Más información aquí. Global Temperature temporal evolution (black line). For further information here. Source : Met Office. ‘En la figura se observa como la temperatura aumenta desde mediados de los 70s hasta el año 2000. …’ ¿Por qué debo decir necesariamente ‘La temperatura aumentó desde mediados de los 70s hasta el año 2000. …’? Para mí, la primera frase será igualmente cierta dentro de quince años. La explicación de la información que arrojan las figuras no va a cambiar. La figura siempre mostrará como la temperatura aumenta desde mediados de los 70s hasta el año 2000. ‘In the figure above, it’s observed that temperature increases from the mid-1970s to 2000. …’ Why do I must necessarily write ‘The temperature increased from the mid-1970s to 2000. …’? For me, the first sentence will be equally correct and true in 15 years. The explanation of the information depicted from the figures will not change with time. The figure will always show that the temperature increases between from the mid-1970s to 2000. Y como este ejemplo os podría poner mil, y la suma de todas esas pequeñas cosas y el hecho de que el inglés no sea mi lengua materna hacen que me sea más difícil estar segura de si lo que está escrito está bien. Es aceptable. No puedo comparar con la receta porque no la sigo al 100%, así que cuando gente con más experiencia me dice que tal y como lo hago no está bien no sé que pensar. No sé si es que no les gusta ‘porque no es la receta tradicional’ o que de verdad es incorrecto. Y si es así y yo tengo la sensación de que ahora escribo mejor que cuando publiqué mi primer artículo, ¿significa eso que lo que he publicado hasta ahora está mal escrito? Cómo veis, a pesar de que disfrute mucho de mi trabajo también hay ratos en los que pienso en que quizá esto no es para mí. Similar to this example, I could give you thousand more. The sum of all these little details and the fact that English is not my mother language make more difficult for me to be sure whether what I write is correct or not. I can’t compare with the traditional recipe because I don’t follow it word for word. Thus, when people with more experience tell me that my English writing isn’t good, I don’t know what to think. I don’t know whether they don’t like it ‘because it isn't 100% the traditional recipe’ or it’s really true that my writing is incorrect. And if that is the case, and I have the impression that my writing has improved since I wrote my first paper, does it mean that my previous papers are bad written? As you see, despite I like very much my work, there are moments in which I think that perhaps this is not for me. Bueno, al menos los mismos que me dicen que mi escritura no es correcta (qué conste que sé que lo hacen con el fin de ayudar) piensan que el contenido del artículo causante de todo este rollo es excelente. Algo es algo, pero no os voy a negar que todo esto me hace sentir insegura. Una parte fundamental del trabajo de un científico es compartir los resultados de su trabajo con el resto de la comunidad científica a través de artículos científicos. En base a dicha capacidad nos evalúan, y lo veo bien. De nada sirve, que yo sepa algo importante en mi campo si nadie más lo sabe. Bueno, a ver que piensan los revisores de la revista cuando envíe el artículo, que al fin y al cabo en este negocio son los que cortan el bacalao. Well, at least the same that tell me that my writing isn’t good (I know that they try to help me) think that the content of the paper causing all that I tell you in this post is excellent. It’s better than nothing although, to be honest, it doesn’t avoid that I feel really insecure. A fundamental part of the work of a scientist is to share his/her knowledge with the rest of the scientific community through research papers. According to that capacity, we are evaluated, and I agree with that. There is no usefulness in that I know something relevant for my research field if nobody else knows it. Well, let’s see what the reviewers’ opinions are when I submit the paper. ¿Cómo termina bien el post? Fácil, todo esto es agobio, estrés al fin y al cabo, y para eso hay remedios ¿Qué me funciona a mí para desestresarme? Os doy mi receta puesta en práctica ayer Domingo. How does the post have a happy ending? Easy, all here is stress, and for that I have my own remedy. I leave my recipe that I put into practice yesterday Sunday. Para empezar un buen paseo con Luke de casi dos horas, con los cascos puestos y con música dela que me da ganas de bailar para amenizar bien el camino. To start a long walk of almost two hours with Luke with the headphones and music that makes me dance to liven up the walk. Después cocinar. Yo me he decantado por hacer masa de pizza para comer (la foto la teníais al principio del post). Darle vueltas a una masa durante un rato es super-relajante. Supongo que debe ser como las pelotas esas anti-stress, aunque nunca he tenido ninguna. Later cooking. 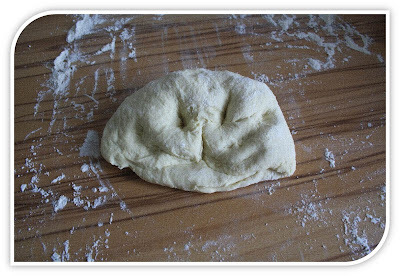 I chose dough for pizza (the photo was at the beginning of this post). 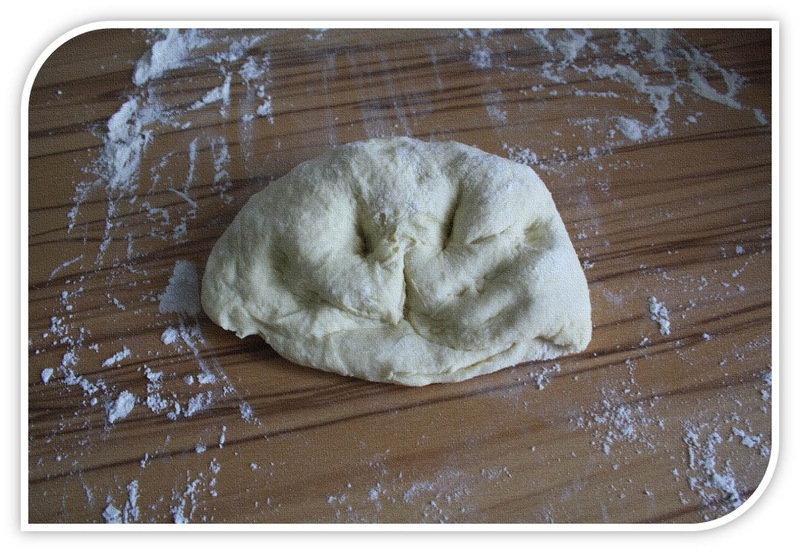 There is something very relaxing in kneading a dough for a while. I suppose is something similar to use those stress balls, although I don’t have experience with them. Y para terminar, lo más efectivo de todo: Sudar el estrés! Para mí es algo que siempre funciona. Me fui a correr a Bürgerpark y volví como nueva. And finally, the most effective part and that always works for me: ‘To sweat the stress’ (Sorry, that’s a Spanish expression. I don’t know if something similar exists in English). 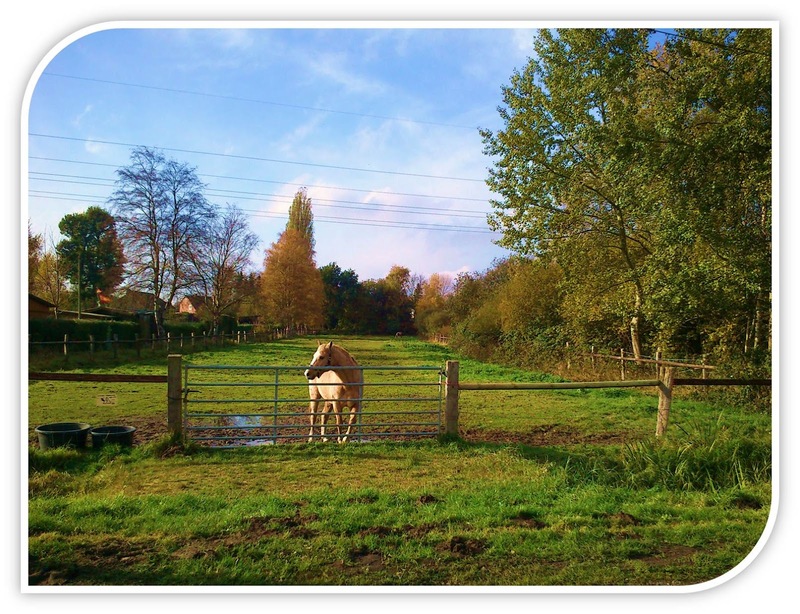 Thus, I went jogging to Bürgerpark, and after that I felt like new. Perdón, esto no era lo último. Lo último es escribir este post. Ordenar las ideas y compartirlas con otros también ayuda. Sorry, that was not the last step. The last one was to write this post. Ordering the ideas and sharing them with you also help a lot. No sé si esto os puede ser útil de alguna manera. Espero que sí. Yo, de momento, mientras espero a los comentarios de los co-autores de la nueva versión de mi artículo, estoy trabajando en cosas para el siguiente. ¡Qué paséis una feliz y no-estresante semana! I hope that it will be useful for some of you in some way. I, by now, while I wait for the comments of my co-authors about the new version of the paper, am preparing things for the next one. Have a nice and no-stressful week! Sea como sea espero que los co-autores no te den mucho la paliza. Gracias. Te he entendido perfectamente y creo que tienes razón pero hay un par de detalles más que, por desgracia o por suerte, también cuentan. Primero, que independientemente del tiempo verbal que uses, tus razonamientos o explicaciones van a ser cuestionados -para eso nos pagan, je,je,je-. Segundo, que creo que el jardín lo he montado yo. Me explico, o lo intento. Me parece que el presente, lo que llamabamos en clase de lengua 'presente habitual', usado para describir lo que cuentan unas figuras es 'más personal' que narrar en pasado unos hechos. Me da la sensación de que si escribo 'En la figura se observa que la temperatura aumenta desde ...', en lugar de 'La temperatura aumentó desde ...' siempre seré yo quien cuente la misma historia una y otra vez cada vez que alguien lo lea. Eso me gusta porque es una forma en la que puedo estar 'presente' sin estar, lo cual debe evitarse pues no importa quién ha hecho qué sino el qué. Eso lo entiendo y lo comparto, pero no soy una máquina. Soy una persona, y como tal escribo. No sé si he aclarado algo, o lo he liado todavía más. Probablemente lo segundo. I must say, I find nothing wrong with "in the above figure it is observed that ...". As a reviewer I wouldnt bat an eye over that. There are truly badly written papers out there but that means so bad english that the actual sense of the text gets distorted. Once I saw a paper from Russia talking about gigantic magnetites which in russian original had been "titanomagnetites". (That was a translation error of course). More recently I am worried about the large volume of chinese papers: I had to follow a tiny story on nanoprecipitates and saw an author group that published mini-paper after mini-paper, and published the same IR spectrum about the same material in two successive texts, and assigned completely different structural meanings to the same peaks therein in each paper. These are real worries. To me this level of English "correctness of language" that you worry about here is style, not substance. Of course one wants to learn the style, but as the confidence about the subject grows, so, I hope for you too, will grow the confidence about the style. Just think of the many papers, in your field no less, that say "we think this means that ... " and so on: unabashedly personal and present tense. Although that really can be overdone, you should not be afraid to write in your own style. The crucial thing is clarity and nonambiguity and conciseness too (the latter is what I never manage). "There is no usefulness in that I know something relevant for my research field if nobody else knows it." Yes yes, thats for me the point of hurt. Thank you very much for your comment. I appreciate very much your oppinion, and it makes me have more confidence. On the other hand, finally, my coauthors are happy with the last version, and I will submit the paper to GRL next week. Now, ... we will what the reviewers say. I completely agree with you: I think it's better that I published my work and make it public, even it's not perfect, than keep it on my computer. another thing that could be said is: No shame! I have found that very helpful in trying to write. I have seen that in myself and many other people: one writes something up as a paper and looks at what one has written and is ashamed of it because it seems so bad. I have developed the habit of telling myself actively to completely disregard this - no poetry prize to be won in a scientific paper! The drawers of people are overloaded with interesting and hard won data and work that never see hte light of publicity because people are ashamed of their writing. For instance, I have a colleague who is an excellent microscopist and sits on a heap of observations that makes famous professors envious - but he hasnt published a single paper since he came to us in 2007. Beacuse he can never feel that anything he writes is "good enough". And so, a whole body of work might as well never have been done, things get forgotten every six weeks etc. It is such a sad thing. So for you I can only say, it doesnt matter - you dont have to like what you write - When it´s out then it´s out! That alone counts. Now, now, I hope you can relate! And I hope that you don´t fall into this trap! It is so difficult to escape. Many thanks for your comment and encouragement. I hope so: I don't want to fall into this trap either, and now the paper I told in the post is already submitted to GRL. It's really sad what you say about your colleague. I don't know if knowing that more people feels like him at some point can make him to feel better and to have more confidence, but from my part all the best and encouragement for him.